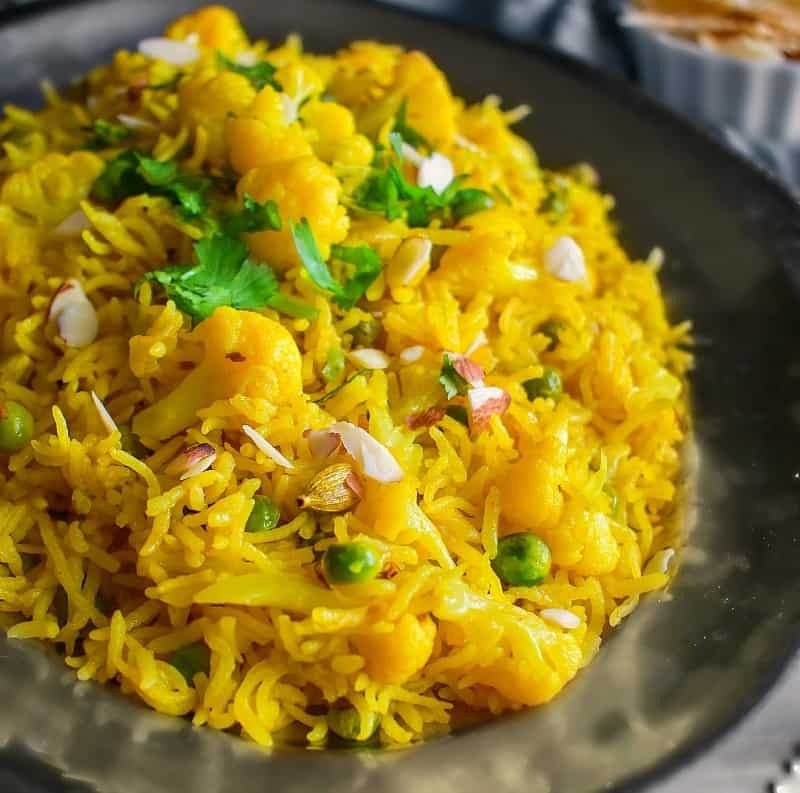 Cauliflower Pulao: quick and delicious cauliflower pulao recipe using cauliflower, peas and Indian herbs. 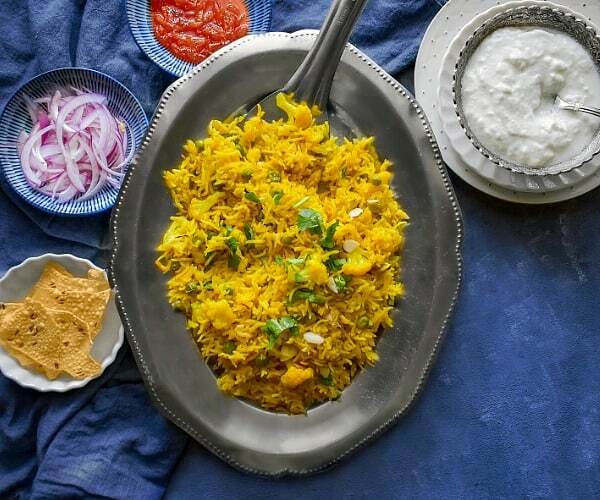 Also known as Gobi Pulao or Gobi Matar Pulao. 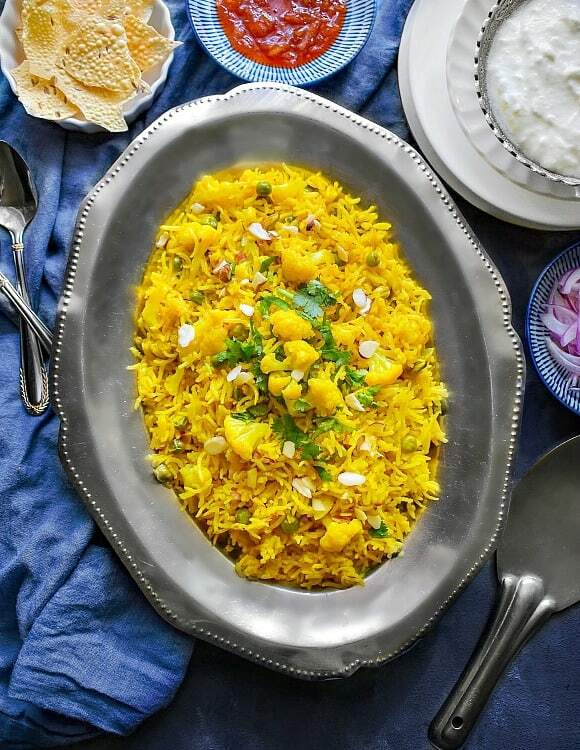 This Cauliflower Pulao is a perfect way to start your week as it’s not only super easy to make but also equally delicious and great for weeknight meals. 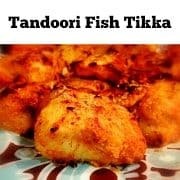 This is one recipe which is being passed from generations in our family and has been a favorite among all age groups. It’s also healthy and light and can be served in most diets. I’m using ‘Turmeric’ to make the color pop and also helps in building immunity. Also, I’m adding a little crunch to the recipe by adding chopped Almonds just before serving. 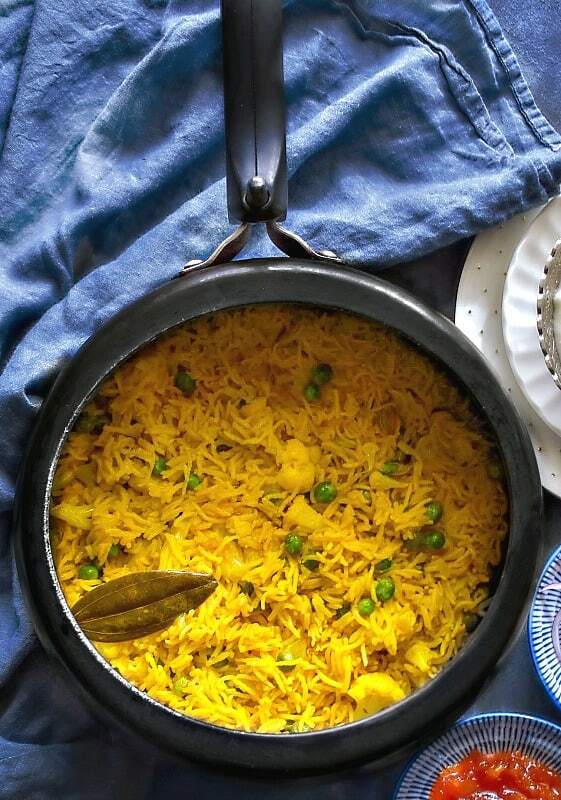 I’m using an Indian pressure cooker to make the pulao, but it can be made using a stovetop-pot / pan or even instant pot. Just follow the steps in the recipe card below for the cooking method. 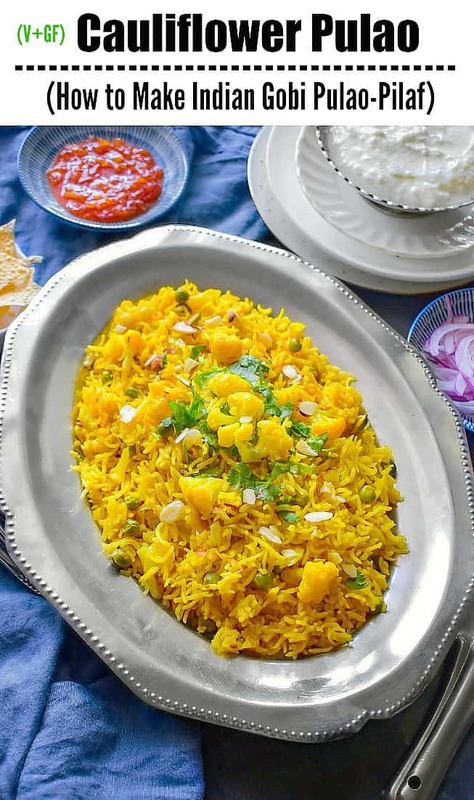 Once the pulao is ready, you just let it cool for 5 minutes, as this makes the rice less mushy. Which makes it easier to serve or transfer to a big platter (without breaking the rice or the cauliflower). 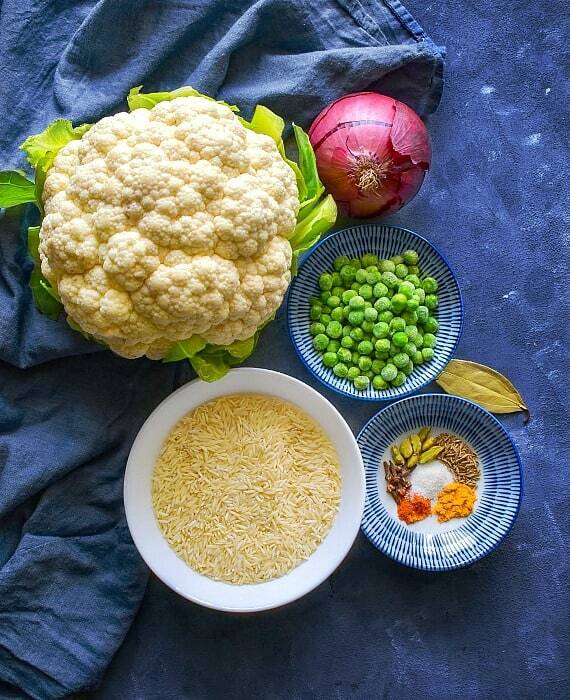 Donot cut the cauliflower into tiny pieces as that makes them mushy in pulao or even instant pot. For perfect looking florets, chop them in a medium-large size and remember to use the exact quantity of water listed in the recipe. You can store the pulao easily in an air-tight box for 2-3 days. It makes a great office or even school lunch. 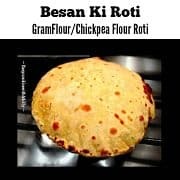 So go ahead and make this recipe this week and please do share your pictures or messages below on the post or tag me on mentioned social media account. Heat 4tbsp oil in a pressure cooker. Add Bay Leaf, onions and peas. Saute for 2 minutes or till slightly pink. Now add the spices, cauliflower florets, rice and saute for another minute. Turn the heat to medium-low and let this simmer for another 2 minutes. Finally saute everything together and add water. Stir everything to mix evenly and close the pressure cooker lid. Let this cook on high till 4 whistles and then turn off the heat. Let the pressure cooker cool for 3-4 minutes. Carefully open the pressure cooker lid (as it may still have some steam). Fluff the rice using a fork and transfer to a serving dish. Add chopped cilantro and almonds on top and serve hot. 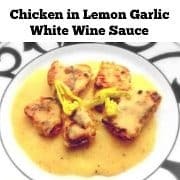 Serve along with your favorite side (mentioned in the post). 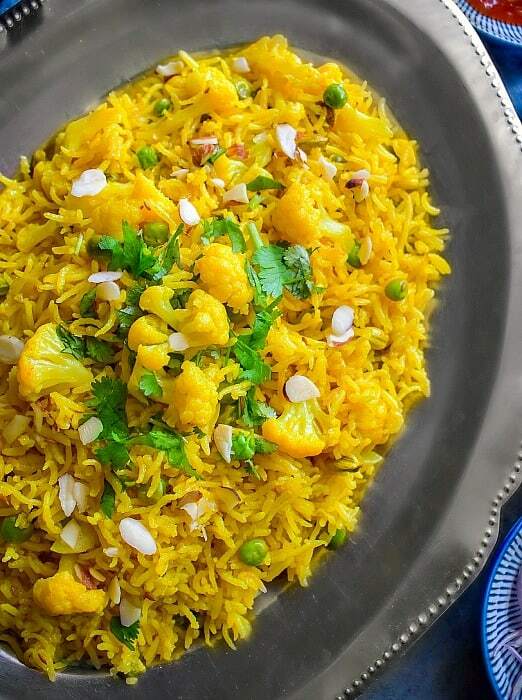 13 Replies to "Cauliflower Pulao | How to Make Cauliflower Pulao Pilaf"
Cauliflower Pulao is my go to for days when I want home made food but not in the mood to stand in the kitchen for long time 🙂 It’s quite the fav at home! 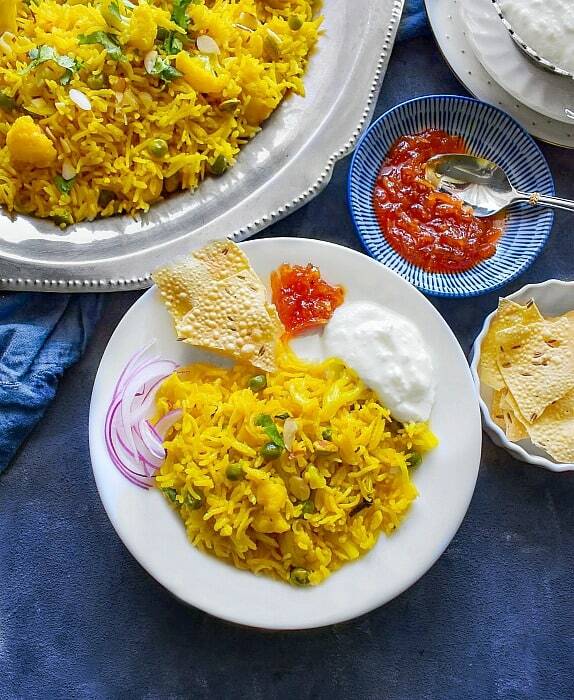 One of the Easiest Indian rice we made. My family loved it. Thats awesome, thanks Cheryl and so glad you’ll liked the recipe. 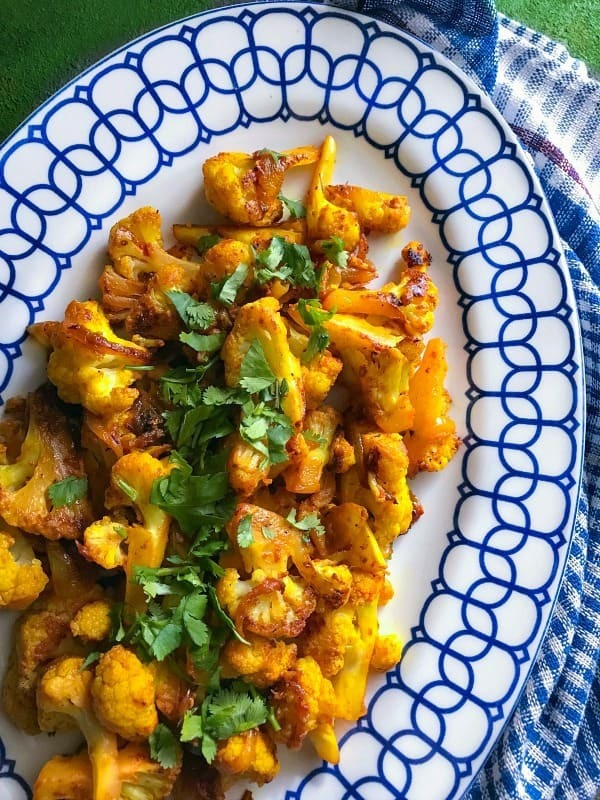 What a great way to change up transform cauliflower! This is anything but boring! 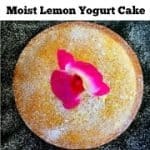 What a delicious interesting recipe! 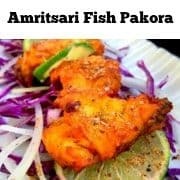 I love Indian flavors. This sounds amazing – so much flavor!! I can’t wait to make it! What a great recipe! This will be on my meal plan again and again! I love the color the seasonings give the rice and this dish is so simple but bursting with flavor. Thanks for sharing!